8 Creepy Things That Have Happened To People While Playing "Pokemon Go"
By now, if you haven't yet been sucked into the swirling social vortex that is "Pokemon Go," you've undoubtedly seen people who have. There's probably someone snooping around your stoop right now in search of Scyther. But if you're thinking of diving into this trend, be forewarned — there are already some seriously creepy things that have happened playing "Pokemon Go," and this viral augmented reality game really only just exploded onto the scene. Having said that, here's a disclaimer worth noting: These spooky, freaky, and weird instances are still pretty rare in the grand scheme of things; in comparison with the quite literally millions of people playing "Pokemon Go" every day (Recode estimates roughly 9.5 million, in fact), the percentage of players who have experienced anything like this is tiny. So don't let these cautionary tales of "Pokemon Go" put you off the game entirely. If anything, they simply serve as a reminder to look up from your phone screen once in a while, pay attention to your surroundings, and remember that just because you're in hot pursuit of a Caterpie or Weedle doesn't mean that the rest of the world outside of the app ceases to exist. Personally, I'm all for this mystical-slash-digital world of wild Pokemon chasing — it's getting people outside, interacting with their surroundings and other like-minded individuals; and the fact that it is a much needed, albeit fleeting distraction from the global tragedies we're facing is a bonus. So go ahead! Get your "Pokemon Go" on. Just keep these creepy happenings in the back of your mind while you're at it ... they might just come in handy somehow. A 19-year-old girl in Wyoming got way more than she bargained for when she was searching for wild Pokemon and found a dead body instead. "I probably would never have went down there if it weren't for this game," Shayla Wiggins told CNN. "But in a way, I'm thankful. I feel like I helped find his body. He could have been there for days." In case you had any doubts that "Pokemon Go's" geolocation is making players' whereabouts pretty transparent, meet Evan Scribner. Now single and warning others against a similar fate, Scribner told the NY Post his girlfriend dumped him when she noticed the geotag for one of the Pokemon he'd caught was located at none other than Scribner's ex-girlfriend's house. I hate to say it, but it was only a matter of time before some wackadoos found a way to sully the innocent fun of "Pokemon Go" with mal-intent. Such was the case in O'Fallon, Mo., where police reported that a group of people allegedly used the app to lure nearly a dozen victims into armed robberies. 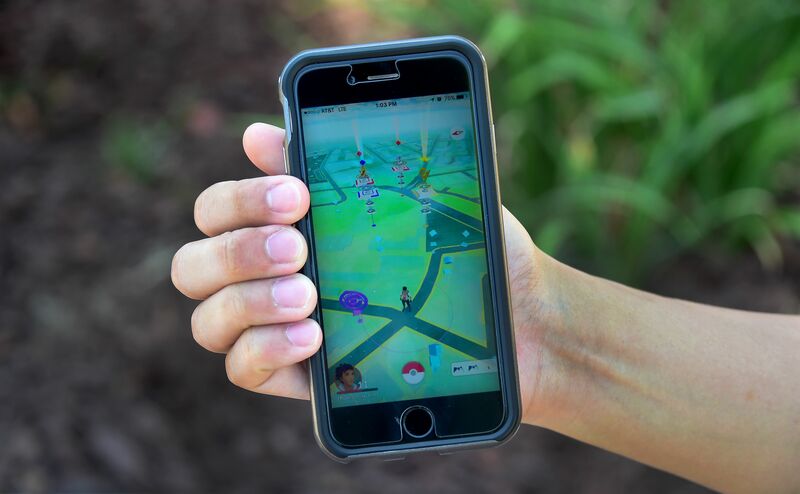 Said O'Fallon police Sergeant Bill Stringer in a release, "Using the geolocation feature of the Pokemon Go app, the robbers were able to anticipate the location and level of seclusion of unwitting victims." Four suspects were arrested on Sunday in connection with the crimes and charged with charged with first-degree robbery and armed criminal action. I'm gonna say the thing that obviously merits saying: There are some places "Pokemon Go" shouldn't, you know, Pokemon-go. This most definitely includes sacred sites such as the Holocaust Museum, Poland's Auschwitz Memorial, and Arlington National Cemetery — all places where people have apparently been whipping out their phones and catching Zubats. No, you guys. Just no. To chase down digital critters in places tinged by such tragedy is enormously disrespectful. In Pennsylvania, a mother named Tracy Nolan is on a mission to educate parents about "Pokemon Go" safety — and with good reason. Nolan's 15-year-old daughter, Autumn, was hit by a car just after pinpointing a Pokemon near a busy highway. The teen required hospitalization after suffering a collarbone injury, a foot injury, and a bevy of bruises and cuts. Note to players: Do not track Pokemon on busy roads. Don't do it while you're driving. Don't do it near a highway. Just keep it far, far away from anywhere cars might be. File this one under "could have gone a lot worse" — two men in Encinitas, California suffered moderate injures when they fell off a cliff while playing "Pokemon Go." The men, who had disregarded warning signs posted in the area, admitted to taking the tumble due to the augmented reality game. One fell about 50 feet and his friend fell 80 to 90 feet, requiring assistance from the local fire department for rescue. They're both being treated at the Scripps La Jolla Trauma Center. Want to test your commitment to "Pokemon Go" mastery? Take a walk in a cemetery. You might find a ton of Pokestops to visit ... at graves. According to redditor Log_Out_Of_Life, they drove by a cemetery earlier this week while playing "Pokemon Go" (hopefully not while they were at the wheel) and the hallowed ground lit up like a starry night with glowing blue Pokestop cubes hovering over all of the graves. To add to the creepy factor, other Reddit users have chimed in that cemeteries near them actually have "Pokemon Go" gyms.